There is no doubt that all of us want to look our best all the time, but at Christmas with all those parties and socialising we will all want to have a bright white smile to see us through. There is no doubt that having white healthy looking teeth can make us look younger more attractive and can be a great boost to our confidence. So why is it so hard to get our teeth white and keep them that way? Apart from avoiding them altogether, brushing afterwards will help and drinking with a straw will too. It’s in the genes! Some people inherit teeth that are off white or yellow but even if the cause of your discoloured teeth is genetic, they can normally still be treated. Getting Older. Years of stain accumulation that has gone untreated results in discoloured teeth. Over time enamel also is worn down and the dentin beneath becomes exposed and as it is typically yellower in colour, teeth look stained and dull. Your dentist will be able to offer some special enamel-enforcing toothpaste. Smoking or chewing tobacco. These may be the worst of all offenders. Tobacco discolours teeth but it also attacks gum tissue, and represents a serious risk to your health overall. Giving up will boost your smile, your skin, your teeth and your health. What Treatments Work and Which Don’t? These tips from the best cosmetic dentist, London will help you get a healthier, brighter smile! Whitening Mouthwashes and Toothpastes - Not for serious staining but cleaning is good, although it won’t change the actual colour of your teeth. Regular Cleaning Having regular professional cleaning will help. Get yourself an electric toothbrush to prevent plaque or tartar building up between cleaning, and always floss at least once every day. Professional Whitening Treatments - In-office teeth-whitening procedures will provide fast, results that are impressive, but cost more. Teeth-whitening administered by your dentist will speed up results, because of the increased concentration of active ingredients that will be higher. Home Treatments - Professionally Sold - Some dentists offer kits to use at home that you can buy from them. There are also equally effective teeth-whitening kits available to buy in the chemist too. Whitening Methods by Light Activation Some support the increased effect of whitening methods that are light-activated but there is still a lot of debate on this issue. Whiteners Over-the-Counter - Teeth "whitening," "lightening," or "bleaching" solutions come in all shapes and sizes such as sticks, strips, gels or liquids, are effective. The active ingredients are the same - either hydrogen peroxide or carbamide peroxide so what you use is about your own preference. 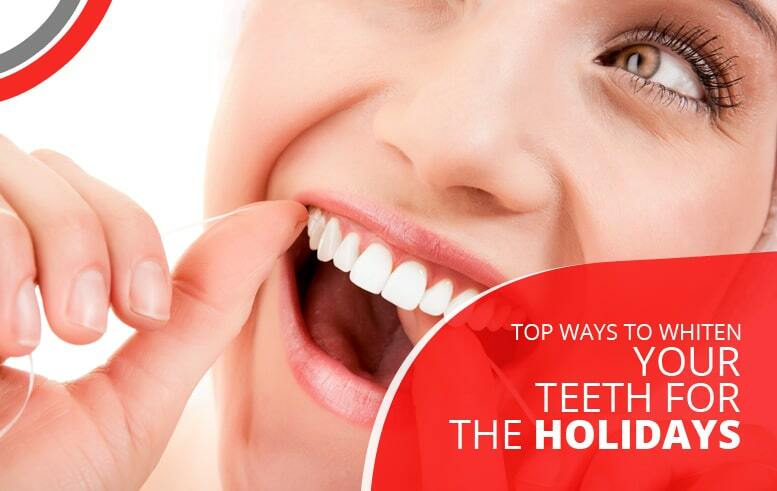 These products will definitely elevate your smile from so-so to hohoho this holiday season! Happy Christmas.